So, you’ve finally admitted that you’re worried about your sleep health. You’re far from alone! In fact, one in three Americans struggle with some form of insomnia during their lives, and with our society plugged in and turned on 24 hours a day, it’s easy to see why there is so much talk about getting better sleep floating around out there. Sleep deprivation can have some pretty scary effects on your health, even in the short-term, with symptoms that include mood swings, the inability to focus, and even weight gain that can lead to diabetes. It’s been proven over and over again that sleep is vital to your overall well-being and it’s even been found that sleep is more important to your health than food. Chances are that you’ve heard of at least one of the sleep gadgets on the market. Heck, you might have even been toying around with the idea of picking one up for yourself. And with over 50% of sleep tech users reporting regularly getting better sleep, who could blame you? But how do you know which gadget will work for you? We’ve done the hard work for you and rounded up the top 24 sleep gadgets that are helping people just like you to sleep better and live happier and healthier lives. And we guarantee you’ll find one that fits your budget, whether it’s $1 or $1,000. Sweet, huh? You’ve most likely come across at least one application for your smartphone that is dedicated to helping you get better sleep. These types of sleep technology are popular because they’re both effective and affordable, making them a great choice for those that want to keep an eye on how often they’re achieving REM sleep, are looking to be able to wake-up easier, or just want a one-stop-shop for their sleep tracking needs. Sleep experts have been telling us for years that consistency is key when it comes to getting the best rest that we can each night. And that a major part of good sleep health is establishing a regular bedtime routine. But what if you just can’t seem to get your brain to shut down and your body to relax? There’s an app for that, thanks to Sleep Genius and the same neuroscience principles that NASA uses to help their astronauts to sleep during lunar missions. Scientifically created to induce relaxation of the body and the mind, the Sleep Genius app uses a specially modified acoustic program that targets your cardiac and respiratory systems, while also synchronizing your brain activity to encourage deeper sleep. You can relax and sleep like an astronaut with the Sleep Genius app, available on iOS for only $5. During recent sleep studies, health professionals have discovered that humans often have brief flashes of visual images while we’re falling asleep, and they have coined the phrase “micro-dreams” to describe the phenomenon. And researchers have found that these varied mental pictures that our imaginations conjure up actually assist us in falling asleep. Unlike the conscious thoughts that we might experience when we have a pressing concern, these micro-dreams have the ability to distract and relax us, making it easier to drift off while we visualize them. It hasn’t taken long for scientists to take note of this and create a program that helps our brains switch from nagging thoughts that keep us awake to random, non-threatening thoughts that help us fall asleep. My Sleep Button is a smart phone application that was developed by a French cognitive scientist to induce sleep through “mental image shuffling” via word association. The app assists you in choosing words that you will associate with harmless and boring images, preventing you from focusing on negative thoughts, and helping you drift off to sleep faster and easier. Have sweet dreams with the “cognitive shuffling” of My Sleep Button, available for both iOS and Android, starting at only $3. Developed by eye care professionals, the Ocushield screen filter was designed to help you be able to enjoy using your smartphone, tablet, or laptop before bedtime, without having to worry about the damage that comes from the transmittance of blue light. Ocushield screen filters are made to prevent the eye strain, vision loss, and sleep disruptions that come with exposure to blue light, while keeping your device’s picture clear as a bell, and also guarding it against cracks and scratches. Protection from blue light is available for a variety of devices from Ocushield and start at just $13. Sleep is all about cycles and rhythms. We all go through different stages of sleep that last about 90 minutes each, ranging from light to deep, multiple times per night. And if we try to wake up to the blaring of a traditional alarm clock during one of those deep stages, grogginess and irritability follows. The key to waking up easily is doing it as naturally possible and that means being awakened during one of the light stages of sleep. That’s where having an intelligent alarm clock that knows the difference between your sleep stages can make your mornings brighter and less stressful. Sleep Cycle is an application for your smartphone that monitors your movements with an accelerometer and then wakes you up gently with soothing sounds at a time of your choosing, during a 30-minute window when your sleep is at its lightest, making it easier to get out of bed. You can actually enjoy mornings again with the Sleep Cycle Alarm for both iPhone and Android, starting at just $1. 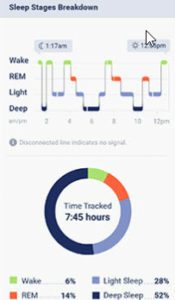 Sleep monitoring apps are a dime a dozen these days, but what about a smartphone application that can actually analyze your sleep and tell you how to make it better? SleepRate is an app that is revolutionizing the sleeping experience by accurately tracking your sleep, evaluating the areas where your sleep could improve, and then delivering that information to you on your smartphone in the form of individually tailored e-coaching. All you have to do is follow your custom-made sleep strategy and then keep track of your improved slumber each week with updated reports that use state-of-the-art sleep therapy methods developed by experts at Stanford University. Get personalized sleep coaching for healthier rest with the SleepRate app on iOS or Android for $35. Some of the most effective sleep technology is the type that is worn on your body, whether it’s a smart sleep mask that uses light therapy to help you fall asleep more naturally, or even a fitness tracker that lets you know if you’re getting the deep sleep that you need. If you’re an athlete looking for a restful and healing night of sleep, you could definitely do worse than following the lead of a five-time Super Bowl Champion, and Under Armour has teamed up with Tom Brady so you can do just that. UA worked with the all-star New England Patriots quarterback to come up with their line of Athlete Recovery Sleepwear, which promotes better sleep and provides less down time after an injury. 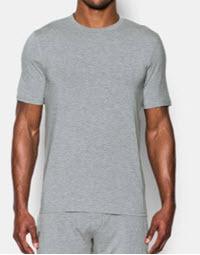 Using a soft Bioceramic print, the sleepwear is able to absorb your body heat and reflect it back as Far Infrared, cooling you down and naturally reducing inflammation. Under Armour’s healing and snooze-inducing smart pajamas come in shirts, pants, and shorts for $100. Aromatherapy with essential oils has long been shown to have many health benefits, including chronic pain management, the lowering of blood pressure, and increasing relaxation for better sleep. All thanks to the therapeutic use of different natural scents. Looking very much like a pen or e-cigarette, the MONQ aromatherapy diffuser takes the benefits of essential oils to a more personal level, thanks to its slim, portable, and easy to use design, which is meant to be worn around the neck. No more bulky and messy bedside diffusers! With MONQ, you can feel tranquil and ready for bed anywhere you happen to be, with their 100% organic “sleepy formula,” made with chamomile, kava leaves, and lavender. Breathe your way to calmer, more restful sleep with the MONQ personal aromatherapy diffuser for $20. Sleep and health experts all agree that receiving natural cues from the rising and setting of the sun are crucial when it comes to being able to get the rest that we need to stay happy and healthy. Of course, thanks to our crazy schedules, that’s not always possible, which can cause disruptions in our natural sleep-wake cycle. Once upon a time, some of us might have addressed this issue by wearing cotton sleep masks to provide the ideally dark environment for being able to fall asleep. But now, we can do much better than that, thanks to the Illumy smart sleep mask, which provides you with your own personalized sunrise and sunset. Using the same light cues that NASA provides their astronauts to regulate sleep on the space station, the Illumy digital sleep mask gently surrounds you with red-toned sunset lighting to tell your body when it’s time to go to sleep. When it’s time to get up, you can program the Illumy to wake you with blue-toned light, triggering your body’s natural response to the sunrise, and waking you gently but effectively. Sleep better and wake up feeling refreshed with the Illumy light therapy mask. Available online for $150. For many of us, falling asleep can be the hardest thing that we do all day, even though we have no trouble staying asleep, once we can finally shut our minds down long enough to drift off. Of course, you know that you can meditate your way to relaxation and slumber, but what if you have no idea how to get into a good mindful meditation practice? The Muse Meditation Assistant is here to help, and you don’t have to worry about taking any classes or reading any books. Muse is the first wearable technology that real-time feedback while you’re meditating, and gives you instructions on how to improve your relaxation techniques and fall asleep faster. You simply put on the Muse headband, slip in your earbuds, and start the accompanying smartphone application. 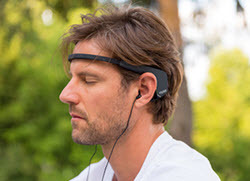 Your “meditation assistant” will then measure your brainwaves to assess whether you are relaxing or not, and guide you back to a calm state with soothing sounds, if needed. Meditate your way to more restorative sleep with the Muse Meditation Assistant for $250. More and more people are coming to see the benefits of using natural light therapy to help them fall asleep faster and wake up easier. Devices that use light therapy to reset and regulate the body’s natural sleep-wake cycle have come in multiple forms, and one of the newest gadgets could also be a fashion accessory. Re-Timers are worn just like any other pair of eyeglasses but they were designed for a much different reason, and more than a decade of research has gone into creating the perfect light therapy device for transcontinental travelers, night shift workers, and those that suffer from seasonal affective disorder. These light therapy glasses use an ultra-violet-free green light mimic the bright, natural light of sunrise, and are made to be worn for up to an hour in the morning, in order to help reset the wearer’s circadian rhythm, making it easier to wake up feeling refreshed. You can cash in on the benefits of portable light therapy with Re-Timer Glasses for $300. One of the downfalls of sleeping on your back has always been the obstruction of your airways that happens when your tongue loosens in your sleep, causing those not-so-cute log sawing sounds that we know so affectionately as snoring. Sleep experts have long recommended side-sleeping for the prevention of snoring and a more comfortable, restful sleeping experience overall, but who can manage to stay on their side all night? That’s where the Slumber Bump comes to your rescue. Made of ultra-lightweight and breathable material, this sleep belt is worn around the chest and features an inflatable air pocket, preventing you from rolling onto your back while you sleep – stopping your snoring before it can get started. 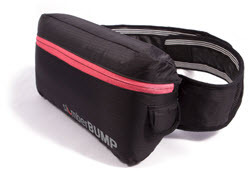 Position yourself for quiet nights without snoring by using the $70 Slumber Bump Belt. It probably won’t come as much of a surprise that many of the most useful sleep gadgets are made to be used in the bedroom. Whether you’re looking for a wake-up light that makes getting out of bed easier in the morning, a system that will help address your sleep apnea (without a bulky mask! ), or a mattress that will help you get to sleep faster and even promote melatonin production, you’ve come to the right part of our sleep gadgets list for the best in bedroom sleep technology. If you’re anything like the rest of us, chances are that there are few things that you hate more than the blaring of your alarm in the morning. But what if you could be awakened by the smell of freshly baked croissants, an invigorating ocean breeze, or the stimulating whiff of peppermint? Sensorwake has come to the rescue with its innovative scent-based alarm clock the human brain’s strong link between emotions and smells to help you wake up feeling positive and motivated to meet the day. You can personalize your sensory wake-up call by choosing one of seven air-quality certified scents and each of Sensorwake’s dry-air diffuser capsules last for a full month of mornings. You’ll wake up feeling energized due to the brisk olfactory experience that gradually strengthens, pulling you gently out of sleep within two minutes, thanks to your body’s natural reaction to each custom fragrance. 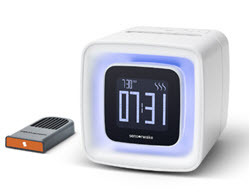 The Sensorwake olfactory alarm clock will wake you up in a brighter, more productive mood for $100. Tracking your sleep has been proven to be very helpful in making sure that you’re getting the rest that you need to be happy and healthy. But dealing with the straps and sensors of a typical sleep tracker can be such a hassle, many people simply give up on them. That’s where this sleep gadget is different. ResMed’s S+ is a device that was designed to be used without any physical contact. It sits on your nightstand and uses motion-detection technology to monitor and track you movements while in bed. As an added bonus, it also monitors the light, noise, and temperature in your bedroom while you sleep. The S+ then tracks that data and sends tailored feedback and suggestions to an accompanying smartphone app that gives insight on how to improve your sleeping environment. Monitor your bedroom conditions for better sleep for $130 with the ResMed S+ tracker. Having trouble getting out of bed in the morning? Philips has got you covered with their smart wake-up light, designed to make use of your body’s naturally energized reaction to sunrise-colored lighting. You can also use the Philips light therapy bulb to drift off to Dream Land faster, thanks to it gently dimming sunset lighting option, and soothing sounds to help you relax and fall asleep easier. Over 92% of users reported that it’s easier to get out of bed with the Philips wake-up light, due to its multiple brightness settings, use of natural sounds that include bird songs and gentle piano music, and the ability to be awakened by your favorite FM radio station. 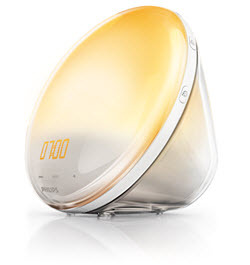 Waking up has never been easier with the Philips Wake-Up Light, available online for $170. Advanced sleep technology doesn’t always have to come with digital buttons and whistles. Sometimes, the best sleep gadgets are all about helping you to get that just-right feel when you crawl between the sheets, especially if you’re tossing and turning all night, or waking up with an aching back. In the late 1960s, NASA noticed that their astronauts were experiencing discomfort during the incredibly forceful lift-off process, and began experimenting with different materials that would cushion and support their crew. NASA chemists came up with the world’s first visco-elastic polyurethane foam (aka Memory Foam). This material proved to be the perfect shock absorber, conformed to the astronauts’ shapes, regulated temperature, and evenly distributed body weight. Customer data compiled by Sleep Like the Dead, shows that buyers of memory foam mattresses have the highest satisfaction rate. Exceeding customer satisfaction with latex foam mattresses, inner-spring mattresses, and hybrid mattresses. We are biased. We believe the Lull mattress is the best memory foam mattress for your hard-earned money. Years of healthier, better sleep on a Lull starts at only $550, comes with a 100-night free trial, a comprehensive 10-year warranty, and is shipped right to your door for no charge, thanks to an innovative bed-in-a-box packing process. 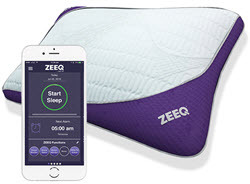 Although it wasn’t the first of its kind to hit the market, the Zeeq smart pillow has come in like a lion, offering more features (at a lower price point) than their competitors. You can listen to music on the Zeeq’s eight Bluetooth speakers as you drift off, monitor your movement as you sleep, be gently nudged to stop snoring by a small vibrating motor, and have a detailed overview of your sleep cycle sent to your smartphone with the pillow’s accompanying app. And best of all, the Zeeq smart pillow is actually comfortable enough for you to want to sleep on, with an outer shell made of foam and a fully removable and washable pillowcase made from natural fibers. You can rest your head on a Zeeq smart pillow tonight and wake up fresher than ever for $300. Do you find yourself kicking off the covers or waking up drenched in sweat? You’re not alone! Humans sleep better in a cooler environment, with the ideal sleeping temperature being between 60°F and 68°F, according to the experts. Due out in August 2017, the digital Kryo cooling mattress topper could be the answer to your sleeping temperature woes. Using a water-based temperature control system, the Kryo integrates with popular sleep tracking devices like the Fitbit to automatically adjust the temperature in your bed by one-degree increments. Kryo helps you to fall asleep faster and stay that way, no matter what your home’s thermostat says, and you can also set it to wake you gently and naturally in the morning by rising the temperature at your chosen time, eliminating the need for the blaring of an alarm clock. You can pre-order the Kryo cooling sleep system on Indiegogo for as little as $200. If you’ve ever had a stressful day or even suffered from a panic attack that keeps you from being able to fall asleep, you know just how important breathing deeply and mindfully can be, although it’s usually an act that is so ingrained that we completely forget about it. But all too often, breathing purposefully to cope with stress and anxiety isn’t as easy as it sounds. That’s where the 2breathe respiration sensor and sleep inducer comes into play. This slim device is worn around the torso and monitors your breathing as you lay in bed, sending information about your inhalations and exhalations to an accompanying app using Bluetooth technology. The app then uses that data to match your breathing with musical tones that slow down over time, gradually causing you to prolong and deepen your exhalations to mimic the soothing beat, naturally guiding your breathing to calm you down and help you fall asleep faster. And it shuts itself off automatically once your breathing tells it that you’ve drifted off to Dream Land. 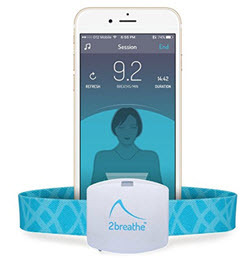 This sleep-inducing guided breathing device by 2breathe is available on Amazon for $180. 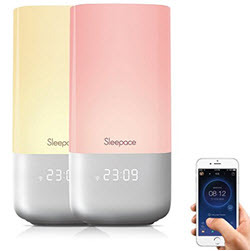 If you’ve ever had trouble falling asleep due to a noisy sleep environment, chances are that you’ve at least thought about investing in a white noise machine or app for your smart phone. But what if the noise pollution in your home is more than the standard sound-based sleep technology can handle? For light sleepers that are tormented by traffic sounds, a partner’s snoring, or other noisy annoyances, the Nightingale smart home sleep system might just be the soothing solution. Using fifteen different ranges of sounds, this new piece of sleep technology was developed by acoustics experts and to immerse your entire bedroom in specially tuned sound blankets, creating a perfectly uniform field of sleep-inducing tones. With a clinical trial done at Harvard Medical School, which proved that Nightingale helps people fall asleep 38% faster, it’s easy to see why this pair of sound-producing units blows traditional white noise machines and apps out of the water. You can cover yourself with soothing blankets of sound from the Nightingale sleep system for $300. Another great gadget for athletes that are looking for better sleep and faster body recovery, the Emfit QS is a contactless activity and sleep monitor that is designed to slip conveniently under your mattress, tracking your movement while sleeping, as well as your heart rate and breathing. Whether you’re training for a marathon or are just curious to see how much you toss and turn in bed, the Emfit QS provides you with some of the most accurate health data available on the market. 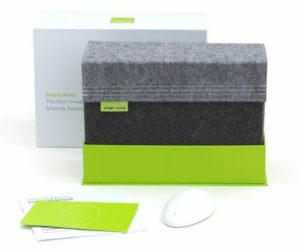 Get full-night activity monitoring and daily wellness reports for with the Emfit QS sleep tracker for $300. It might be time to breakup with your smart phone’s alarm clock, thanks to a smart bedside system that uses soothing light and sounds to help you fall asleep faster, and natural light to help you wake-up at the most opportune time for you. Nox’s smart sleep and wake-up light system also provides you with detailed data about your sleep cycle, info on your breathing and heartrate while sleeping, and lets you know how much you tossed and turned during the night. 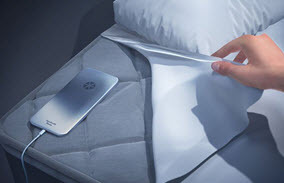 All of those details are then sent to the system’s app, which is connected to the bedside light, allowing Nox to provide the exact lighting and sounds that will increase melatonin levels when you’re trying to get to sleep, and wake you up gently in the morning. You can find the Nox sleep system on Amazon and start getting better sleep tonight for as low as $150. Billed as the “smart snoring solution,” the Nora system is a silent, non-invasive, and portable solution to your partner keeping you awake as they saw logs all night long. Say goodbye to those earplugs and nose strips! Smart Nora was designed to help snorers and those that love them to get better sleep, without any hassles or doctor visits required. You simply place the streamlined device on your nightstand and the accompanying padded insert under your partner’s pillow. When Nora detects snoring, it gently and quietly inflates the pillow insert, prompting the snorer to move into a sleeping position that relaxes the throat muscles and opens the airway, all without interrupting their sleep, which results in a more peaceful and restful night for you both. Smart Nora comes with everything you need to stop snoring and is available online for $300. If you’re a “hot sleeper” that can’t seem to cool down enough at night, no matter how low you set your thermostat, or how many standing fans you have cranking, you know how hard it is to get to sleep and stay that way. That’s where one of the most popular cooling sleep gadgets comes into play. 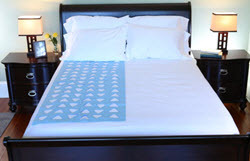 The Bedfan uses an innovative design to remove heat that gets trapped beneath the sheets as you sleep, without you having to go broke paying for running your air conditioner on high. Simply attach the Bedfan cooling system at the foot of your bed, adjust the top to hold the sheets and direct the air flow, and enjoy the instant relief of a refreshing breeze that moves upward and over your body. Enjoy cool nights all year and save on your energy costs with the Bedfan Cooling System for just $100. Adults aren’t the only ones that can benefit from better sleep. Your little one will be happier and healthier when they can drift off to Dream Land faster and stay there longer. And you’ll be able to get more rest for yourself! Nightlights have been a popular choice of parents for many years but most of them don’t come with many options. 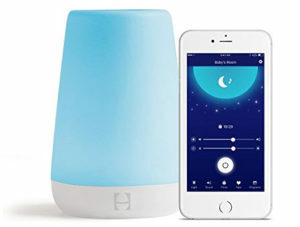 The Baby Rest by Hatch is changing the way parents’ sooth their children to sleep at night, with features like calming sounds, a custom auto-off timer, and the ability to control the night light and sound machine with a smartphone. You can fully customize your child’s bedtime routine via Bluetooth, adjusting the colors, volume, and brightness of the Baby Rest right from your phone. And the Baby Rest is cool to the touch, thanks to the use of LED lights, plus there are no toxic chemicals used in the kid-friendly and durable ABS plastic. Lull your little one to sleep each night with soothing lights and sounds of the Baby Rest by Hatch for $60. With so much science backing up the importance of good sleep health, it’s no wonder that so many of us are looking for a way to take back our health and happiness with better sleep. And the fact that sleep technology has been rising at such an incredible rate over the past few years proves that Americans are begging to be able to get the recommended 8 hours of rest each and every night.